It's Where You At: Say wut, Starbucks for a Year??? Say wut, Starbucks for a Year??? Hey fam! If you got yourself a Starbucks Planner last Christmas or is working on having one, you get the Kape Vinta Starbucks Card included in the package. And with this, Starbucks Philippines is feeling generous as we enter the Lunar New Year that it's giving away 1 year supply of Starbucks coffee with its Starbucks for a Year Promo which runs from January 1 to 31, 2018. This is open to all Starbucks Philippines customers who own a Kape Vinta Starbucks Card. Registering the Kape Vinta Starbucks Card to a My Starbucks Rewards® account within the promo period. Raffle entries will be electronically generated by Starbucks Philippines. There will be two (2) Draw Dates with a total of twenty (20) winners per draw that will be chosen through raffle. Prizes for each draw will be as follows and announcement of winners will be through Starbucks Philippines’ Facebook Page. Note: 1 complimentary Grande handcrafted beverage with up to 2 add-ons is equal to 12 Beverage Stars based on the Starbucks Philippines’ My Starbucks Rewards Program. To claim the prizes, the winners must personally appear at Rustan Coffee Corporation, 4/F Rustan Coffee Building, 14 Jupiter St. cor. Asteroid St., Bel Air 1, Makati City and present the copy of the email notification they received, the Kape Vinta Card that matches the card information of the winning entry, and a valid I.D with picture. 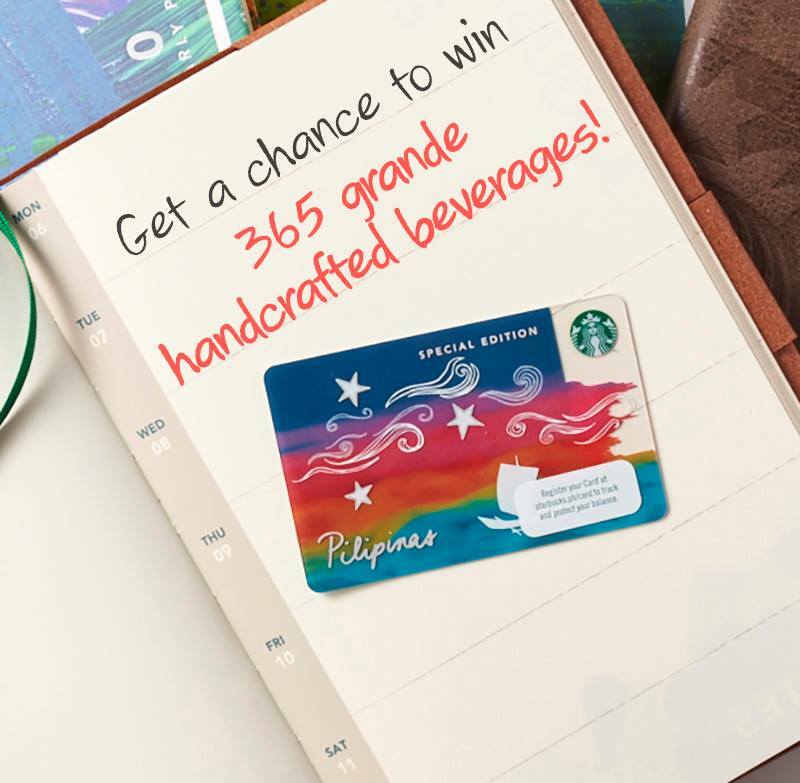 Prizes may be claimed within sixty (60) calendar days after the receipt of the official notification from Starbucks Philippines. Otherwise, they shall be forfeited in favor of sponsor with prior approval of DTI.